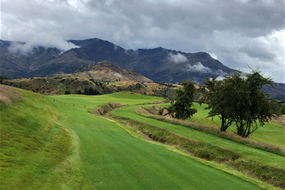 For the first time ever, the New Zealand Open will be launched with a Par 3 event that will take place on the newly-built course ‘The Farm’ at The Hills in Queenstown. The unique Par 3 event is set for the eve of the tournament, 27 February, and serves as the official curtain-raiser for the 100th New Zealand Open, which will run from 28th February to 3rd March at the Millbrook Resort and The Hills in Queenstown. The Par 3 event will also be the first time Sir Michael Hill’s brand-new Par 3 course will be played by anyone other than a few Hills members. A private property, this represents a unique opportunity for the public to see this world-class and very exciting course. “The day will see all of the past New Zealand Open champions compete in what will undoubtedly be a fun day,” says Tournament Director Michael Glading. 15 past champions are now confirmed to play and include Kiwi icons Sir Bob Charles, Michael Campbell, Greg Turner and Mike Hendry, along with other former Open champions like Brad Kennedy, Dimi Papadatos, Matt Griffin and of course last year’s champion Daniel Nisbet. They will be joined by New Zealand favourite Ryan Fox, a select group of amateurs and some of the tournament ambassadors including Stephen Fleming, Brendon McCullum, Ricky Ponting, Tom Walsh, Sir Ian Botham, Jeff Wilson, Shane Warne and others. The Par 3 day represents the first opportunity to reflect on the great competition, careers, players and shots over the history of the tournament and the game since the first Open in 1907. Sir Michael Hill’s support of the New Zealand Open over many years is well-known and his vision in building a unique and challenging brand-new Par 3 layout further illustrates this. “To host the first ever Par 3 event in this country is a huge honour - reaching 100 years is a huge achievement and the Par 3 will commemorate this significant milestone in the history of New Zealand sport,” he says. The New Zealand Par 3 will be loosely based around that seen at the US Masters, where it’s been around for half a century. It will involve everyone from past champions, sponsors, golfing VIPs, tournament ambassadors and a few select amateur players from the Pro-Am. “It’s also about giving the children and grandchildren, nieces and nephews, wives and girlfriends the opportunity to get involved, act as caddies and be part of the celebrations,” says Glading. There are now only 20 days until the 100th New Zealand Open and events like the inaugural Par 3 are only set to increase the excitement.